Bas and I go sailing on the Tres Hombres! And that is hard work, but a beautiful life. The Tres Hombres is a cargo ship without engine, a unique ship. So it does not sail just for the fun. It is really sailing to transport freight. Coffee, cocoa, rum, wine, chocolate and salt are transported over the oceans of the world. And we will join as trainee, or ‘ deck hand ‘. 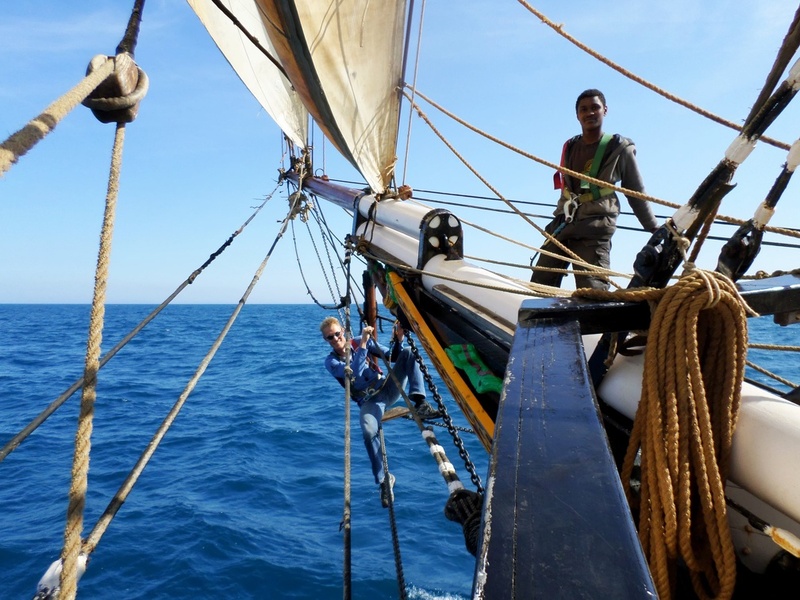 In doing so, we will learn more and more about sailing the Tres Hombres. It is like in the old days, sailing by wind to the Caribbean. It sounds idyllic, but because of my previous experience on the Tres Hombres, I do know that it won’t always be fun. You’re with a group of people on a small boat and with that group you have to deal with all. But, I also know from my previous experience that it is going to be an incredibly beautiful experience. Sailing at the Tres Hombres is an experience. The ship does something with the people. No motor sound, no diesel air, just wind (or no wind), water, the crew and the ship. And occasionally a port where you can relax, shower and refuel. A little over a week and then we leave from Den Helder with the Tres Hombres. Bas ‘only’ goes one-way, to the Dominican Republic. I will sail back as well. 13 July 2016 Boca Chica, Dom rep. The Tres Hombres regularly publishes posts on the blog of Fair transport blog, the company behind the Tres Hombres. In turns, people write an article. Would you like to be kept informed of this easier, then they also have a Facebook page that you can follow. If it is possible, we will also post something on our own BasEnEelco blog that you are reading at this moment. We will also post it then on Facebook and Google +. In 2013 I’ve done a trip with the Tres Hombres for three weeks. My first plan was only to go one-way, to Copenhagen. But once we were there I thought it was so cool that I stayed to return by sail as well. Three great weeks! And now I have six months of that ahead! Take a look at the photos of that trip. To get a good idea of life on board this video is totally worth watching. You’ll also see how small the boat actually but. The part about the Tres Hombres starts about at minute 8 and lasts half an hour. Copyright © 2019 Bas and Eelco.